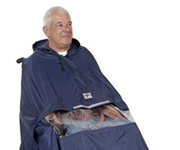 The following range of all-weather wear offers a wide range of products designed to protect Wheelchair and Scooter users from the elements. These vary from partial protection to complete coverage of the user. A range of all weather products designed to protect scooter users. 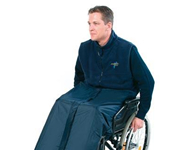 A range of all weather products designed to protect wheelchair users.